For many of us, winter has unofficially arrived. You may already be stockpiling warm sweaters, new coats, gloves, scarves and warm socks for yourself. But don’t forget to arm your dogs, too. Dogs have a built-in fur coats, but that doesn’t mean they don’t get cold. Unless you have a cold-weather breed like a Siberian Husky, Alaskan Malamute, Akita or American Eskimo Dog, most dogs need protection from cold temperatures, ice, snow, rain and salt. 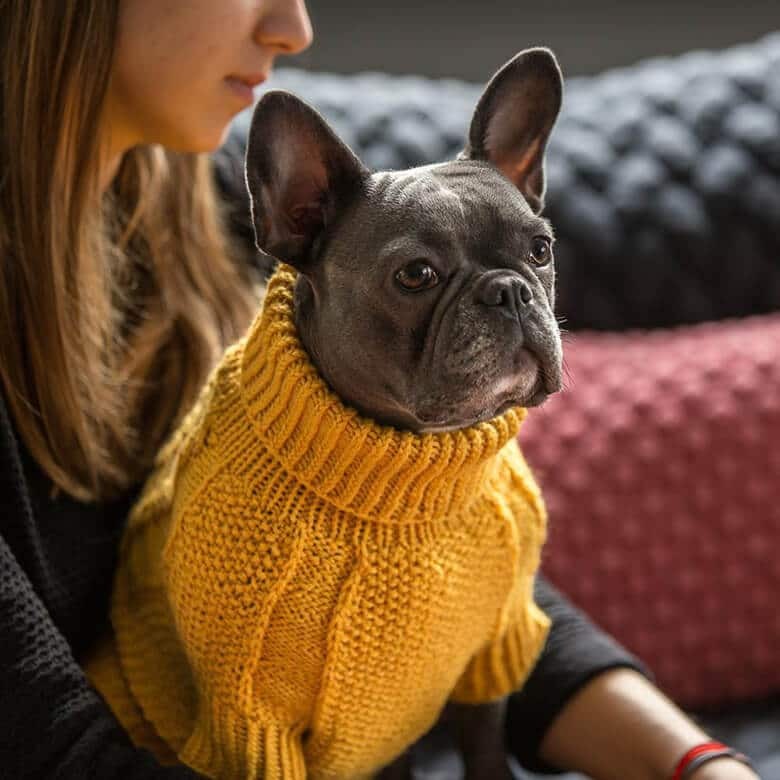 If your dog is a small breed, has short hair (large or small), is reluctant to go outside or shivers in the cold, a winter coat or sweater will make a great difference in their comfort and sense of well-being. Booties are a must to protect paws from freezing snow, ice and salt that can cause chemical burns if paws are unprotected. 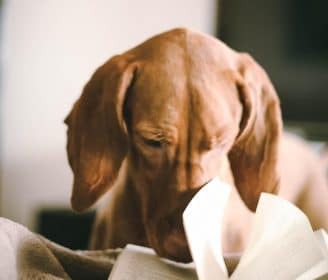 Here is some of the best cold weather products that will keep your dog safe and warm this winter. 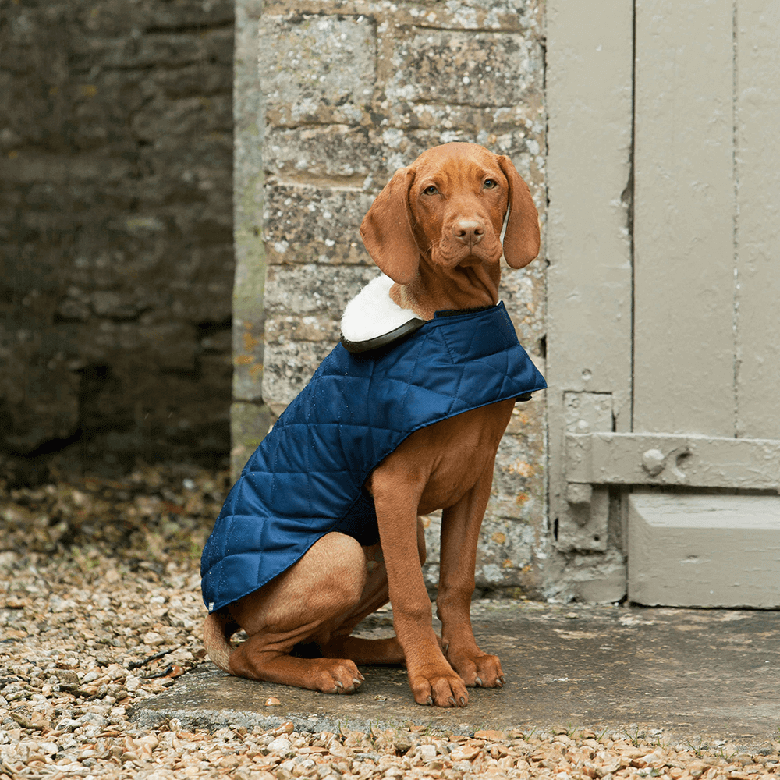 Supremely British with a dash of the upper crust life, the quilted waterproof dog jacket will inspire your dog to strut like a little Duke or Duchess. 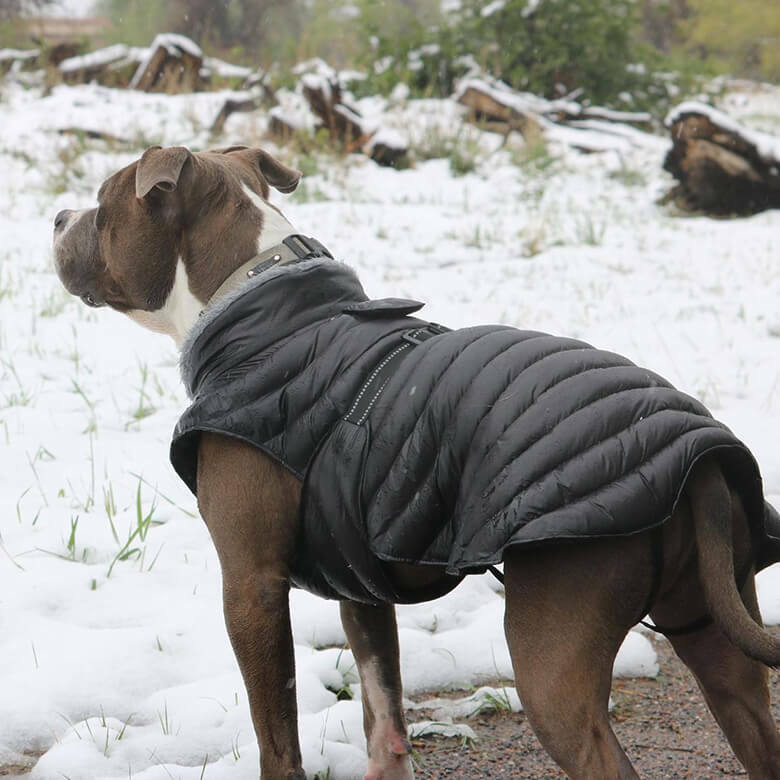 The fully lined jacket trimmed with a sherpa fleece collar will keep your dog warm and dry and protected from the elements. Velcro closings at the neck and chest provide an adjustable fit and make it a breeze to put on and take off. When it comes to cold, snowy weather, the Canadians are experts — and the urban wax parka is proof. 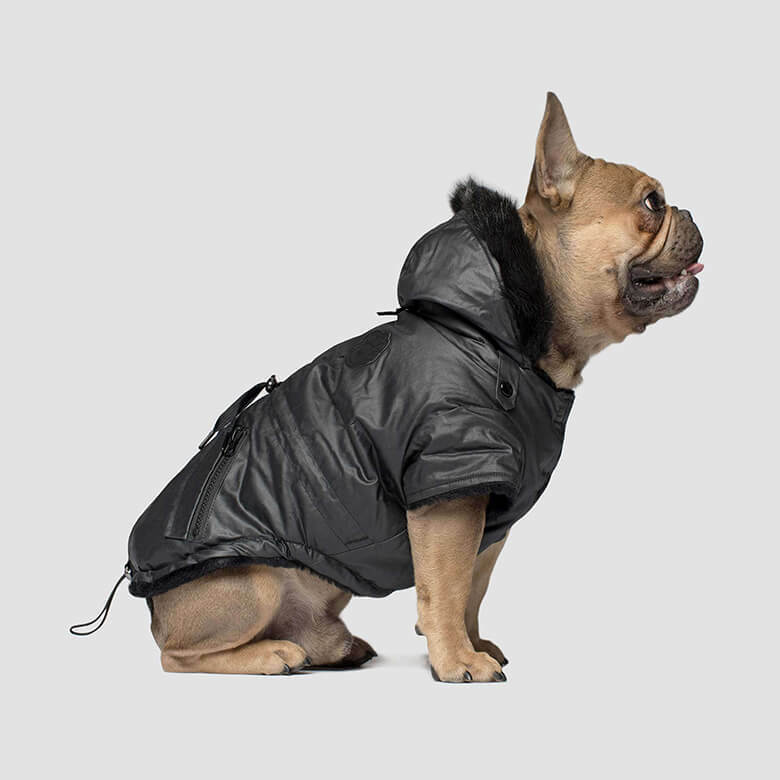 With a wax finish that makes it water resistant, a faux-fur lining and trim, faux down filling, and an adjustable waist for a customized fit, your dog will look like a celebrity. There’s even two real zippered pockets on the back (so he can carry his own poop bags). There’s a reason the Alpine extreme weather puffer dog coat is so popular that it’s hard to keep in stock. 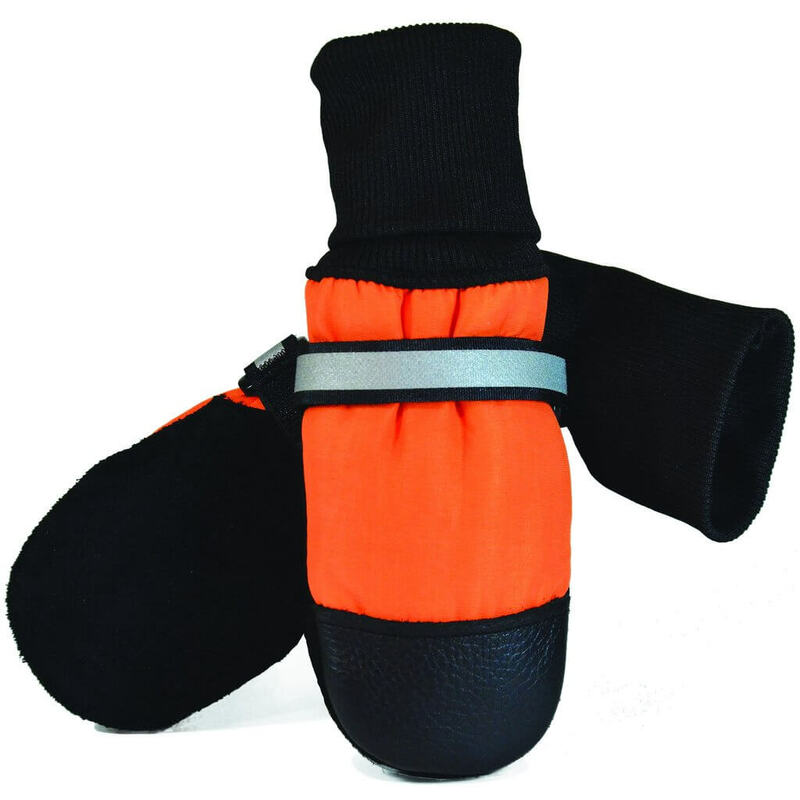 It’s waterproof, fiber insulated, lined with thick fleece, has a leash opening and comes in a wide range of sizes. It slips over the head and the adjustable buckle allows for a customized fit. 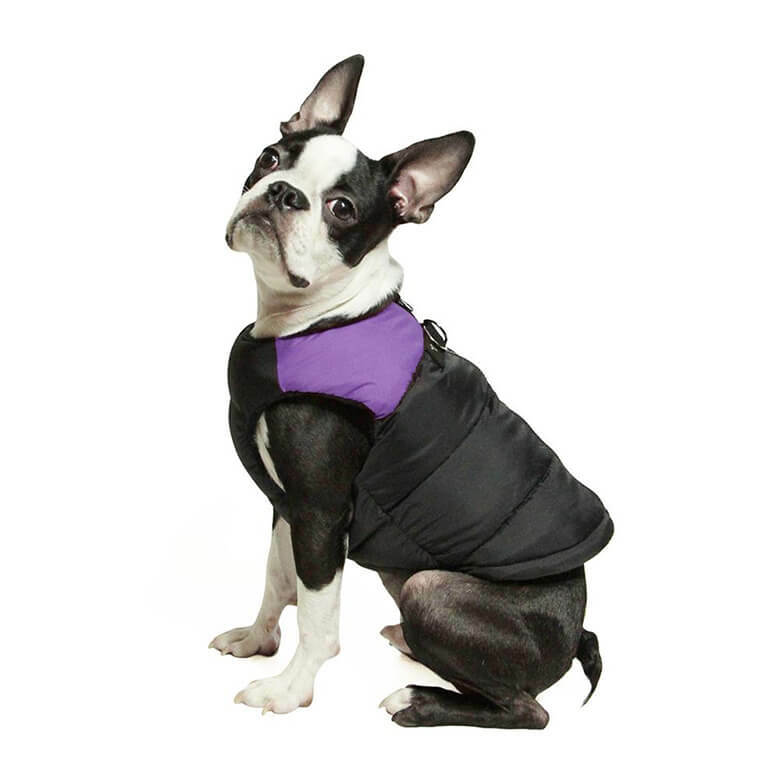 The Gooby padded vest is a thick, puffy coat that is water resistant, super easy to put on, and comes equipped with its own O-ring leash attachment. The step-in style zips up the back. Attach a leash, and you’re out the door. 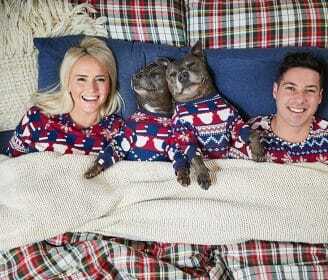 It keeps even tiny hate-the-cold dogs warm and happy. 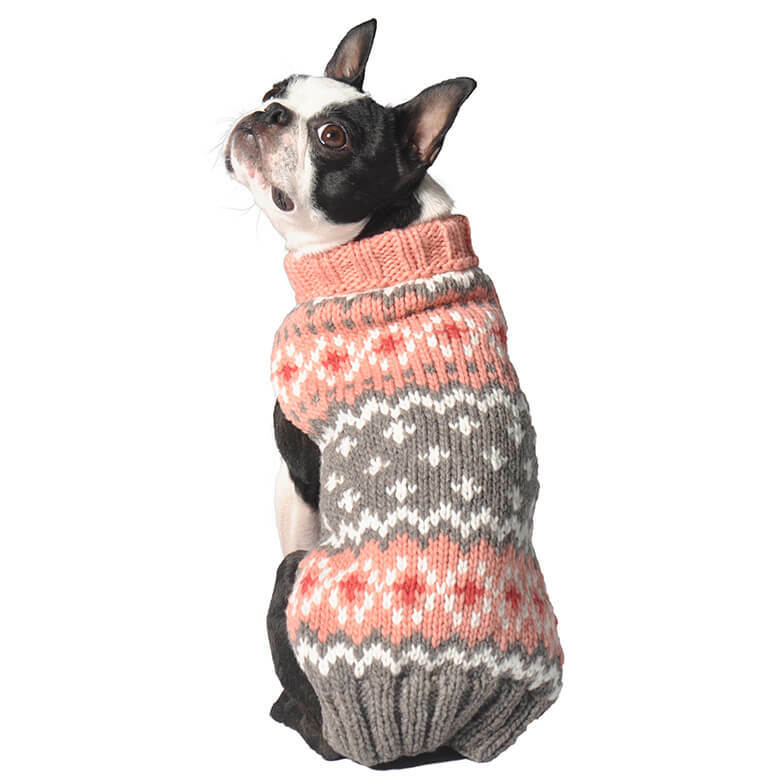 The Wooldog sweaters are handknit by local artisans in Poland and guaranteed to keep your pup toasty warm. Made from an incredibly soft wool, it takes 20 hours to knit each one. 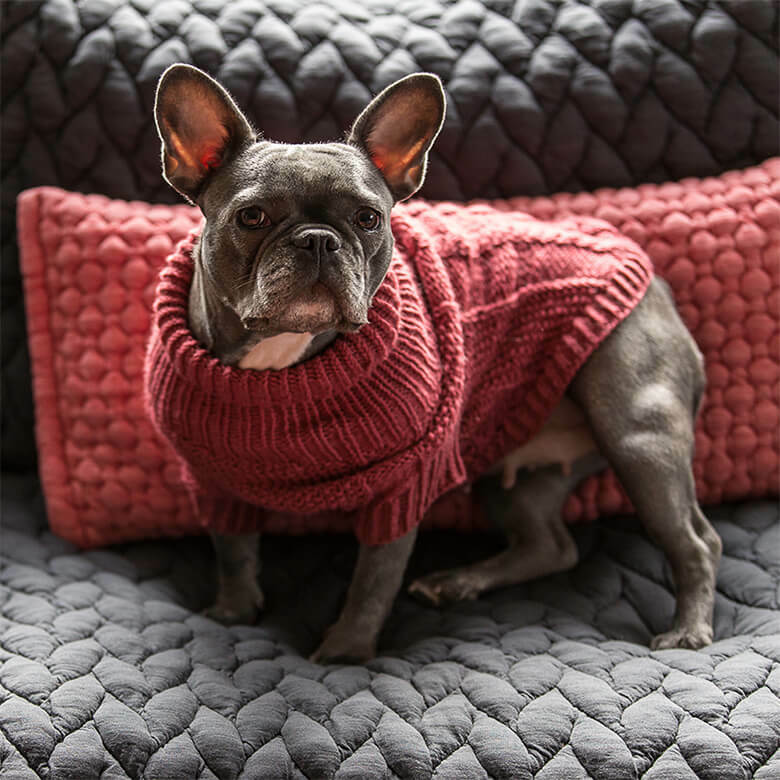 In a classic cable pattern with a turtle neck and little legs, it’s so comfy your dog will love wearing it, even at home. 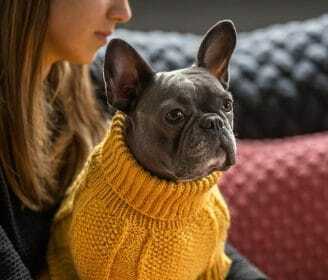 Hand knit by Inca artisans in South America, the fairisle handmade knit sweaters from the Chilly Dog is made from thick 100% wool and colored using plant dyes. The company uses fair trade guidelines to employ knitters for a fair living wage that enables them to support a better lifestyle in their small villages. Keep your dog warm and looking sharp while you do some good in the world. Perfect! From XXS to XXXL. $32.99 to $46.99. The faux-fur lined cozy harness from the Polish brand Bowl & Bone is lined with faux fur and fits like a comfy glove. 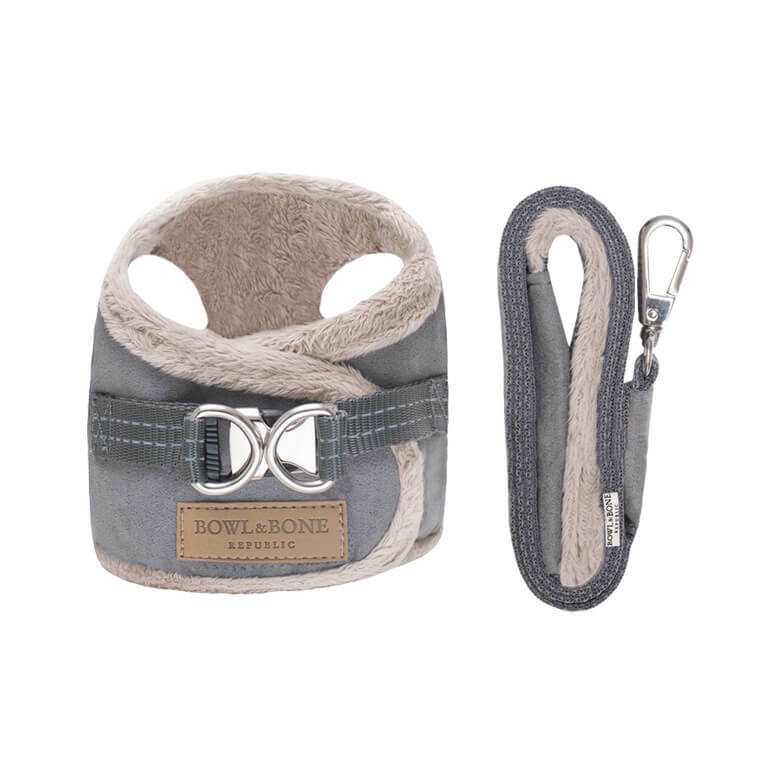 The step-in design closes with a buckle and built-in O-ring for quick leash attachment. Great for those quick morning walks when you need to get out fast. 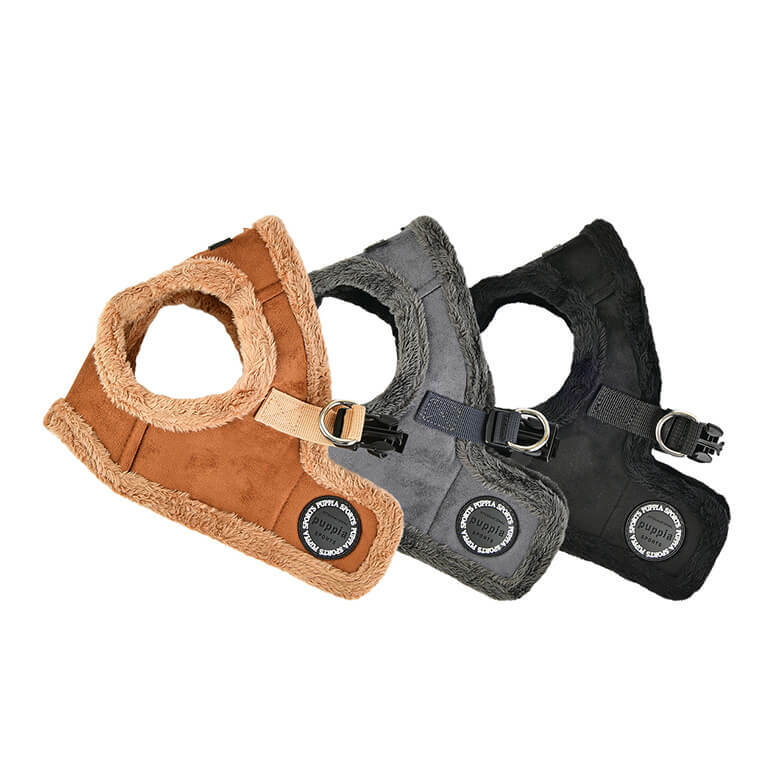 The Puppia terry harness vest is a fur coat in an easy on/off harness. In faux suede with an adjustable chest belt, its step-in style makes it a breeze to put on, and the full coverage on the chest will keep your dog warm. Pawz is the gold standard in dog booties because most dogs don’t mind wearing them. These boots are disposable, reusable and waterproof. They come in packages of 12 boots, and they last forever. 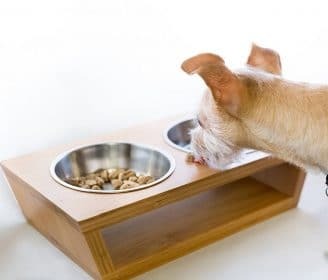 Dogs like them because they can feel the ground beneath, which makes them easy to walk in. 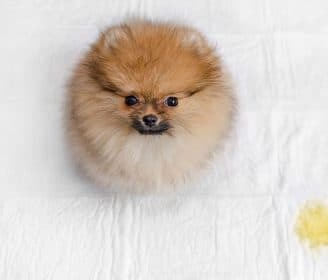 They do take a while to learn how to put them one, so expect to employ two people at first, one to hold the dog against their chest with legs out, and one to stretch open the top of the booties and pop it on. 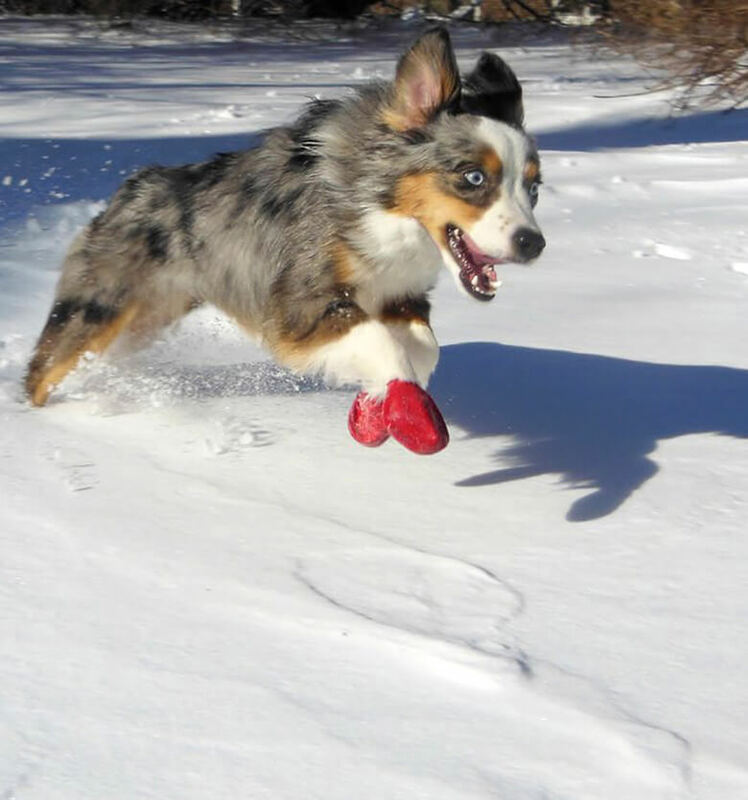 Muttluks boots are made in Canada, the land of snow experts, so they can take on the worst winter weather. Fleece lined for warmth, they are machine washable with flexible soles for ease of walking, straps that can be adjusted to fit, a stretchy leg covering, and reflective straps for night visibility. This rugged yet comfy boot makes these a great option for dogs that love to play in the snow. Super Dog Paw Defense Wax heals your dog’s paws after exposure to hot sand, ice, snow and salt melt, so you’re covered year-round. Made with vitamin E to moisturize and heal, this balm will soothe dry paws and skin and keep your pup smiling. 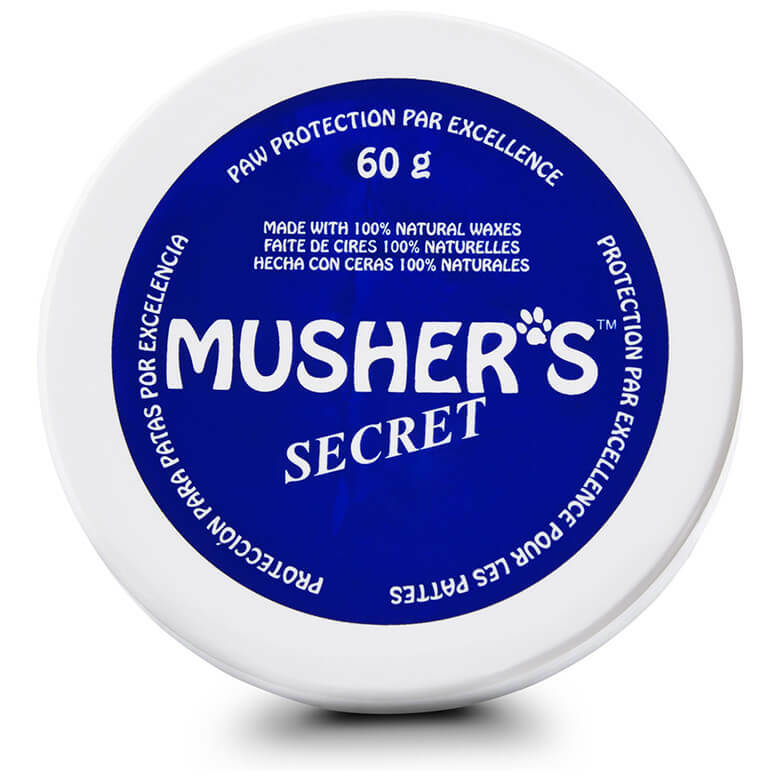 Musher’s Secret Paw Protection Natural Dog Wax is the answer for dog that will absolutely not move an inch in boots. 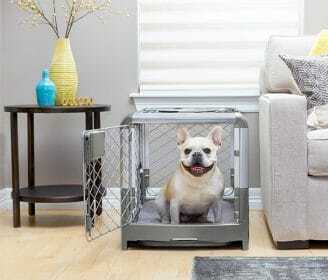 It will protect paws from ice, snow, salt, hot sidewalks and burning sand. 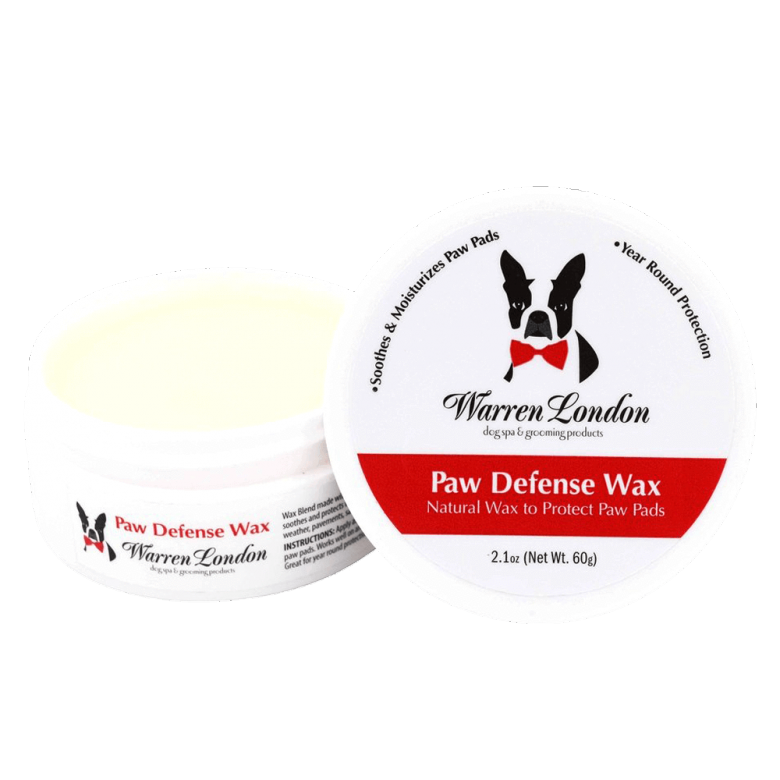 It moisturizes with natural waxes including white and yellow beeswax and vitamin E to soothe cracked paw pads and skin.